Last pregnancy Zach and I attended every pregnancy class offered by our hospital, except one. 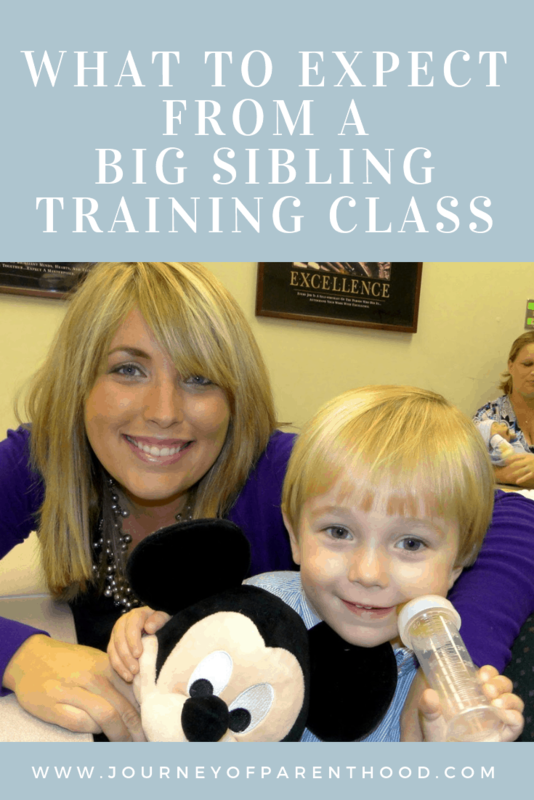 The “Mommy’s having a baby!” class if for children who are going to be big brothers and/or sisters. Of course the night of the class fell on a night that Zach had to be out of town for work, but Mom was able to come along with Kye and I and really it was for the best. Since Zach and I will both be in the delivery room when Blitzen is born it’s good that someone was at the class with me who will be in the waiting room with Kye! That way she can help remind him about all the things we did in class to help build his excitement about being a Big Brother. On our way I told Kye we were going to the hospital and he got SO excited and asked if we would be picking out a baby and bringing it home. I had to tell him no, but it is exciting that the next time he’s there that’s what we’ll be doing! The age range for the class is actually 3 and up but Kye did AWESOME. He paid such good attention and took it all very seriously. Mom and I both were pretty impressed and left feeling confident that he’s going to be very good at this whole big brother thing. I think, if anything, it’ll be “annoying” that he’ll want to help SO much! Having a toddler “help” with things takes a lot of patience, time and energy so I’m the one who needs to be prepared for that so I don’t snap at him or not include him in things out of being rushed or tired. Gotta pray on that for sure! They gave each of the kids a diaper, t-shirt, blanket and bottle. First we learned how to put on the diaper. Mickey is still sporting this look around our house! The instructor said to raise your hand when you’re done. Can you tell I’m loving watching my son in action? I like our twin listening faces! Totally melts my heart to see him in this role and it’s not even a REAL baby yet! The instructor also gave each child an award and Kye’s was a Big Brother award! After everyone finished with their cards we got to go up to the labor and delivery floor. Kye was very excited about pushing the button on the elevator and getting to be in the hospital. We had to whisper and he did a great job being quiet. There was one little baby in the nursery so they held it up to the window so all the kids could see. Kye was in awe. He just stared and stared and talked about that little baby for days! He asks me often when we can go get the baby and every time I have a dr visit he asks about the baby. It’s really precious and I think he’s even more excited than we are about Blitzen’s delivery day! I highly recommend this class! It’s free if you deliver at South Ga Medical Center or it’s $10 (I think) if you’re delivering somewhere else. The instructor did a great job and it helped me to know the kinds of things Kye will be able to help with. It also helped us to feel better prepared for Kye to experience visiting the hospital when I’m in labor and it allowed us to make the hospital a fun, happy place so he won’t be afraid. I can’t WAIT to see Kye in his role as Big Brother here soon! I am SO happy to be here where I can share so many special moments with you!